The main features of a code analysis tool are the definition of the analysis rules and the classification of their severity (information, warning, error, ...). The code analysis tool then produce report for a specific code item or library, listing all the analysis results that are equal or above a certain severity detection threshold. 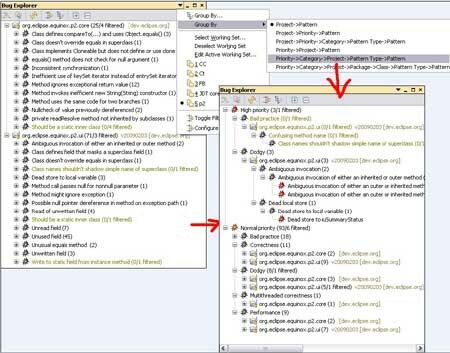 Findbugs Code Analysis Eclipse Plugin Category Definition. Many code analysis tools, especially open source, have been included in plugins that allow to run them in other code management environments like IDE (Eclipse, NetBeans, SonarQube, IntelliJ, Visual Studio, ...), project build management (Maven, Gradle, ..) or continuous integration tools (Jenkins, Hudson, ...). In this web site you will find the most popular open source code analysis tools like Findbugs, JSHint, Cppchecker, PMD, Checkstyle or JSLint.